Back at the beginning of November I was asked by the smashing folk at TwentySix Digital in Leeds to be a guest illustrator for The Gallery Of Mo. 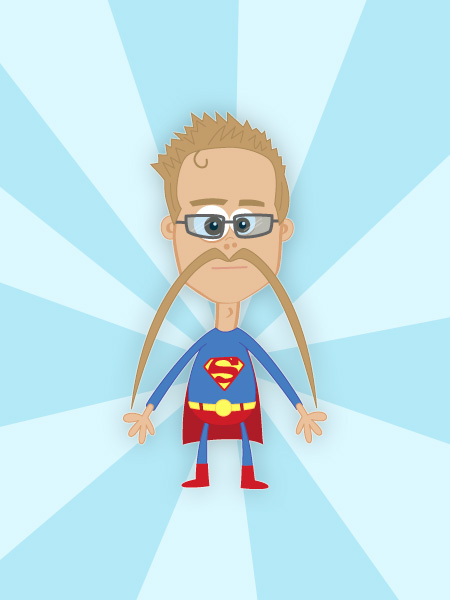 The purpose of The Gallery Of Mo (designed and developed by the guys at TwentySix Digital) is to raise money and awareness for Movember whilst highlighting all the fab work the charity does. 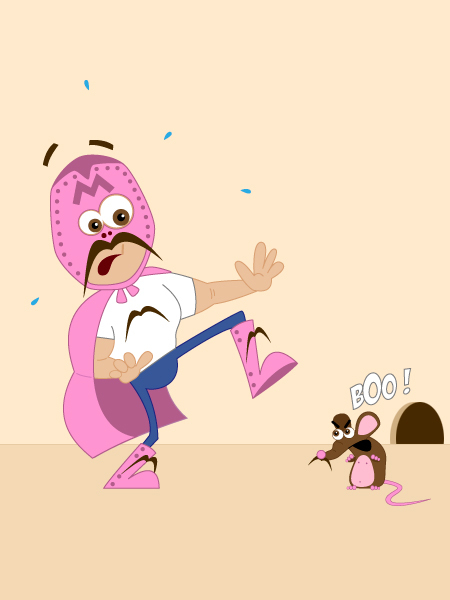 The Gallery Of Mo also aims to give something back to all the loyal and generous donators by way of providing an illustrated portrait (complete with additional moustache) based on an uploaded photo. I'm really flattered and honoured to have been given the opportunity to work alongside some amazingly talented illustrators in order to raise money and awareness of the Movember charity. 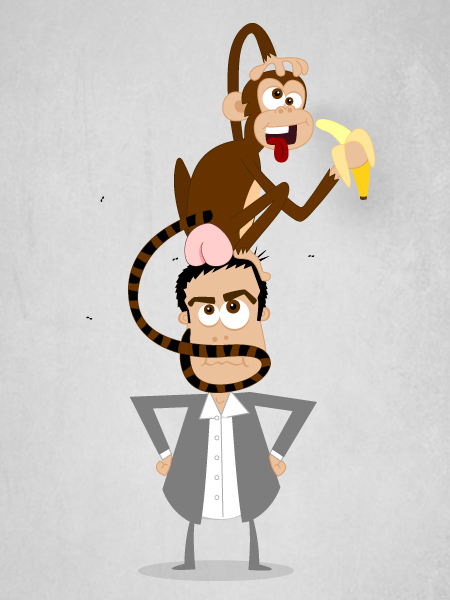 I've posted some of my own illustrations opposite. Click the image opposite to view. 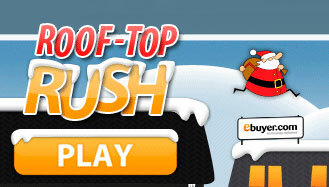 Click on the image opposite to play the Ebuyer 'Rooftop Rush'. 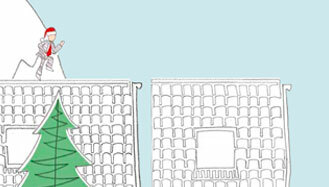 This is a re-skinned version of The Beazley Broker Dash (see the news article further down this page) and I was lucky enough to be invited over by Tim and Emma at Team Cooper to draw and animate a fat Santa with a wobbly nose! All the other graphics you see within the game are created by yours truely whilst the game logic and mechanics are all developed by the super clever team over at Team Cooper. Man I loves those guys! I really don't get enough time to work with the Wacom Cintiq but it really proved it's worth on this small but enjoyable project which involved storyboarding for the very talented and ambitious Guy Utley at Made By Tall in Brighouse. I can't say much about the project at the moment as it's a work in progress but needless to say I will be posting a link here when it's all done and dusted. Flash On The Beach was awesome this year. It's true to say that the event will probably be re-branded next year due to the broad range of technologies that the conference revolves around. These days it's not all about Flash. 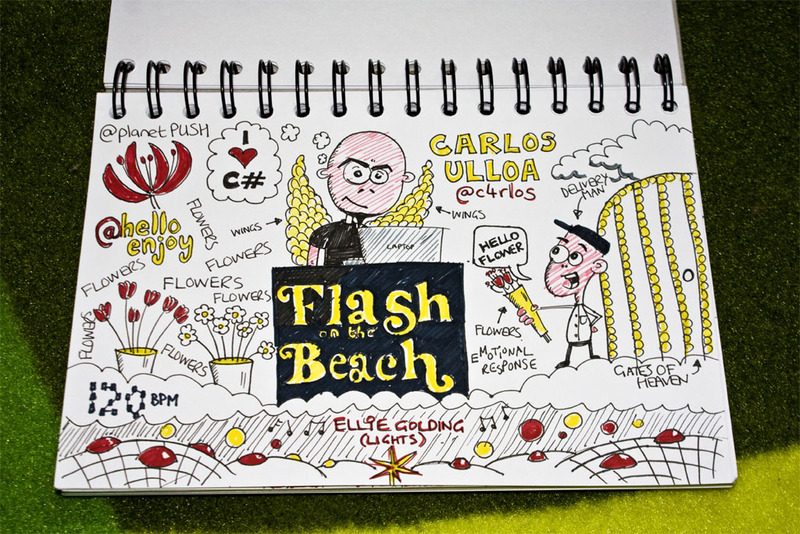 Talking of Flash - I'm very flattered that Carlos Ulloa (The God Father and creator of PaperVision) asked me if he could put one of my sketchnotes on his Hello Enjoy Blog. Of course I said 'yes'. 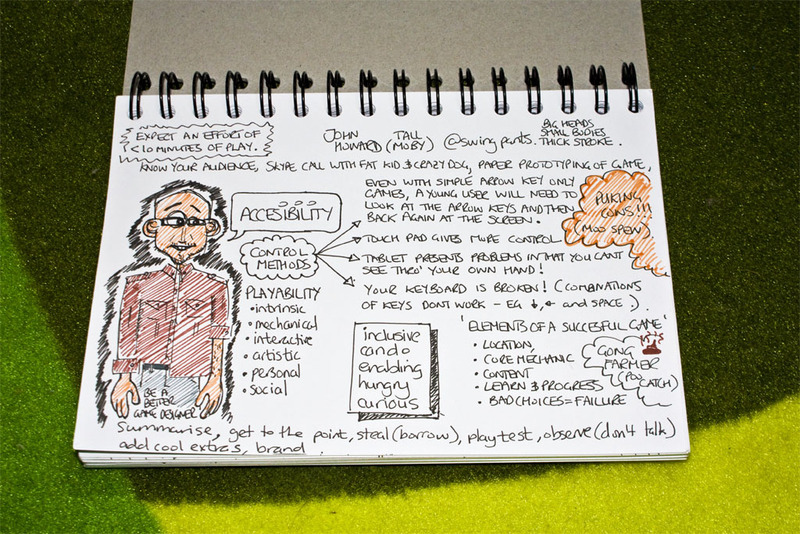 I've posted some of my other sketchnotes opposite. 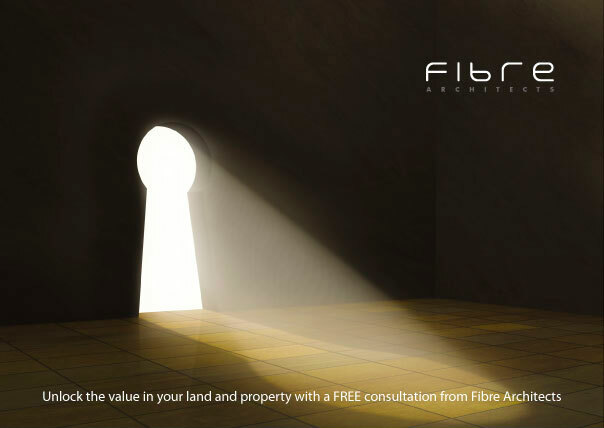 Click the image opposite to view. 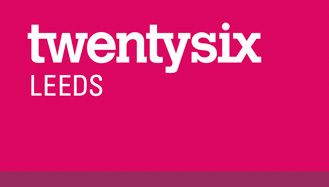 I was lucky enough to spend the last month helping out the ridiculously creative people at TwentySix in Leeds. 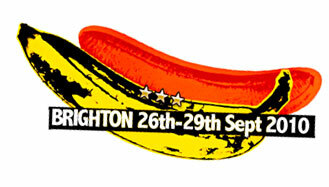 During my time there I worked on brands such as Nice 'n Easy, Sassoon, Nioxin and ECA (The Eurpoean Club Association). I've enjoyed having a blow up sheep on my desk, a bottle of beer delivered to my desk at 16:30 on a Friday, a tin of custard as a present (many thanks to senior Flash Developer - Ryan Michael Twitter: @thisisryan) music in the office and Pizza Friday on the last day of the month. This was a truely cool place to work. Thanks for having me TwentySix! Planet PUSH - Coming Soon! I've been very busy working on a new version of 'Planet PUSH' (my online portfolio) to replace the old site (the old site can found here: Planet PUSH). 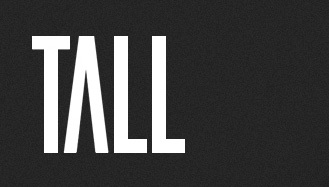 I was hoping to have the majority of the site done and dusted by the end of August but it has proved to be an evolving beast that has given rise to many new ideas during the process. I'm also hoping to integrate 'The Case Of The Unknown Freelancer" animation (which you can read about in a previous article below) but I'm not far off now! 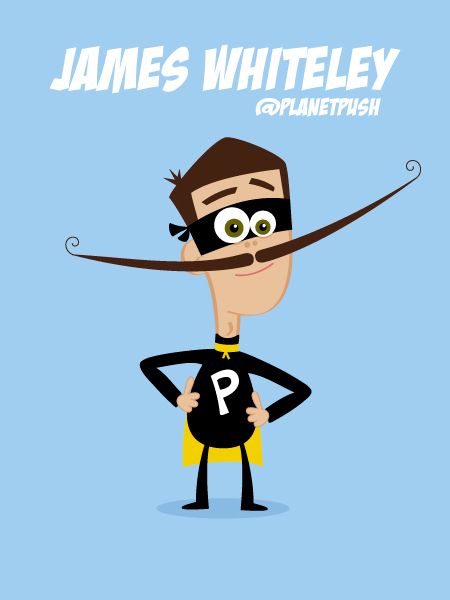 Please follow me on Twitter at @PlanetPUSH for all the latest developments. "Hudds Digitals" is a Huddersfield based meet-up group for designers, developers, illustrators, game developers, game designers, you name it! If you're interested in design or development then feel free to pop along and join in the chit-chat and spin-off activities such as 'Rubber Ducking' and '5-a-side footy'). We meet on the last Wednesday of every month. The next meet-up is tonight at 18:30 in Zephyr - Huddersfield. I'll be there so come along and say "hello"! 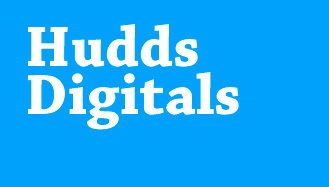 Follow HuddsDigitals on Twitter for all the latest announcements. 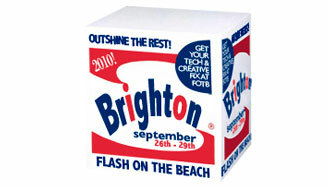 It's not long now until my 3rd visit to the Flash On The Beach conference in Brighton. 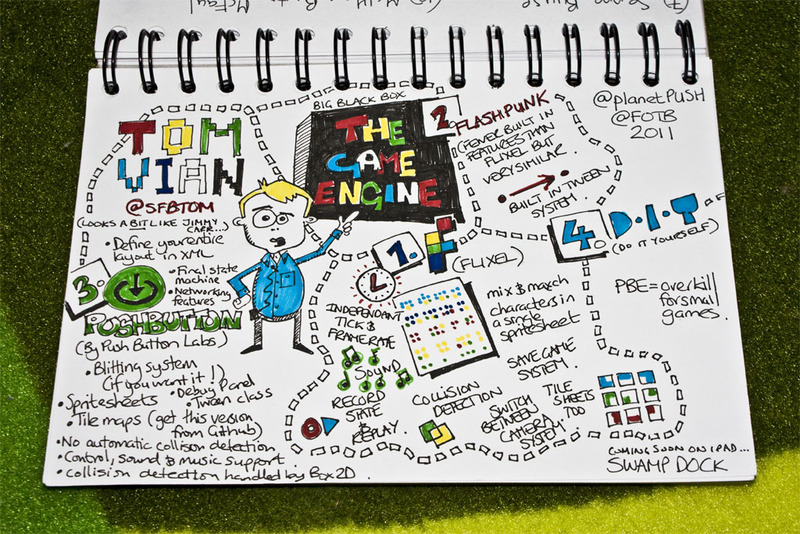 This conference has evolved over the years and is not just about Flash these days. Despite the bad-press and mis-understandings about Flash's future, this years conference should be an eye-opener to a lot of folk as Adobe will hopefully be revealing their plans for the Flash IDE and I've heard a rumour from a little mouse that developers can look forward to new tools in terms of games development and monitising applications. I'm looking foward to seeing whether Adobe put their money where their mouth is. 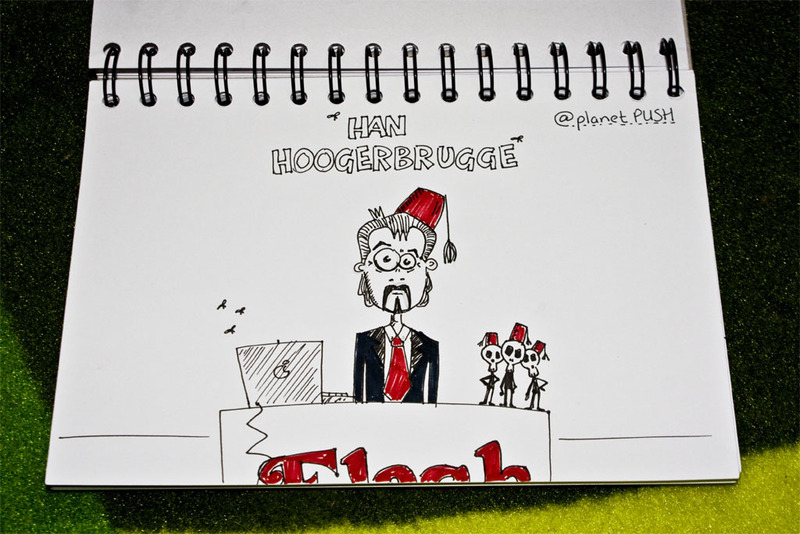 We'll soon see if the rumours are true but whatever happens Flash surely still has a big future in terms of games development on the vast array of tablets and hand held devices that have been hitting the shops this year. 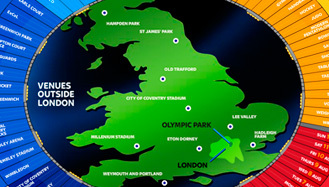 Sky Sports - 'Olympic Venues Guide' and 'Olympic Medal History' projects now LIVE! I recently completed an enjoyable 8 months contracted to Sky Sports in Leeds where I was personally responsible for two major Flash and jQuery applications within their London 2012 Olympic Games website. Please check them out and forward the link to a friend if you like what you see. 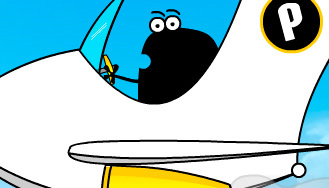 Back on the 5th October 2010 I announced news of a personal animation project. Unfortunately, I've been so busy with client work since that announcement that work on this project has been put on temporary hold. 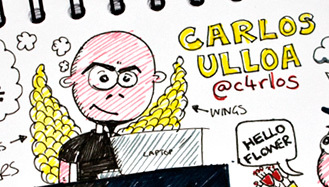 What I do have is a graphical storyboard in place and a voice over artist at the ready. I can tell you that the animation will be titled "The Case Of The Unknown Freelancer" and that lovely chap opposite is 'Mr Angry Client'. Do watch this space... When things change you'll be the first to know about it! Back in November 2010 I began a 6 month contract with Sky Sports in Leeds. I've joined a team of 8 extremely talented designers with a real mixed bag of skills across the team and at roughly half way through the contract, things have being going really well. Most of the stuff is top secret as you can imagine but something I can show you is Team Sky - Cycling which I've had a small hand in. The rest of my stuff so far is focused on the Olympic games in 2012 and until then I guess it'll have to remain top secret! I keep harping on about those incredibly talented folk over at Team Cooper but there is a very good reason for that. It's because they make incredibly cool games and I'm lucky enough that they've invited me to help out on a couple of occasions. 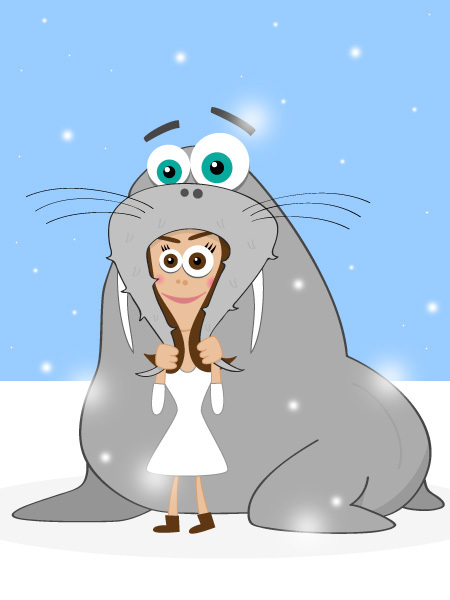 In Novemeber 2010 Team Cooper asked me to illustrate the graphical elements and interface for a Christmas game for one of their clients - Beazley. 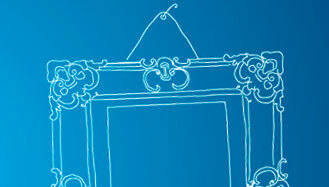 Beazley have a very distinctive brand with hand drawn graphics featuring heavily. For each graphic the brief is simple - the illustrator's hand should never leave the paper creating continuous lines everywhere. 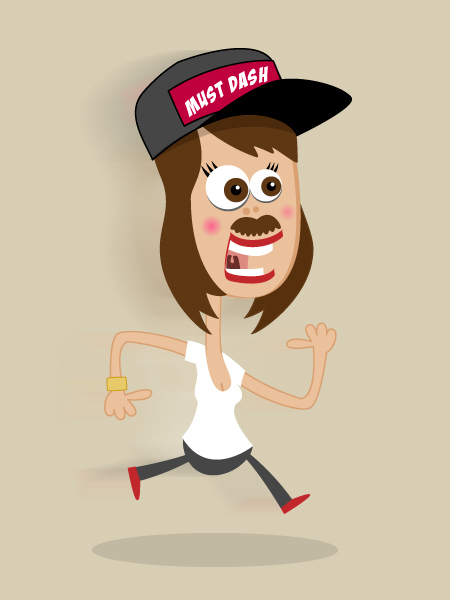 Here's the game: The Beazley Broker Dash. 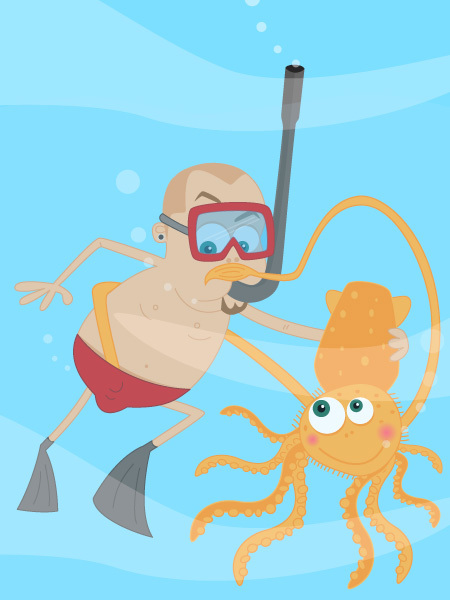 Those smashing folk over at Team Cooper have kindly asked me to help out with some user interface designs for a new Flash game for the Facebook platform. 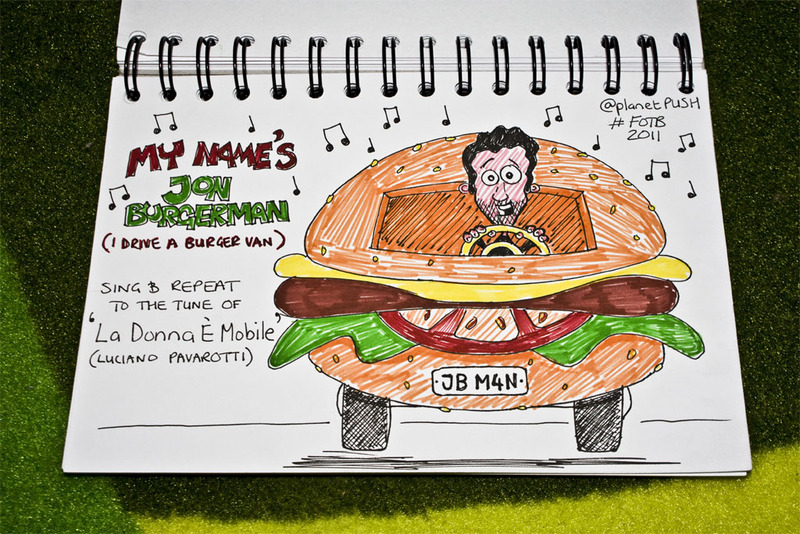 Amongst other cool stuff, these are the guys behind the massively popular "Beastie Burgers' game (with over 3,000,000 plays). 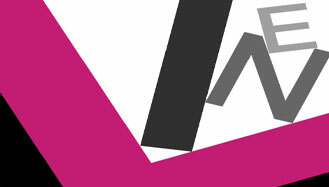 It's all a bit top-secret at the moment so I'm sworn to secrecy but watch this space in early 2011 for updates - or keep an eye on their blog over at Team Cooper. 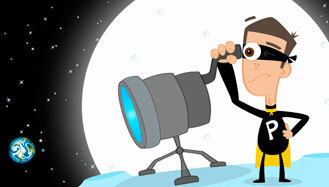 You see that rather cool super-hero guy, looking through that awesome telescope over there on the right? Well...That's me that is! 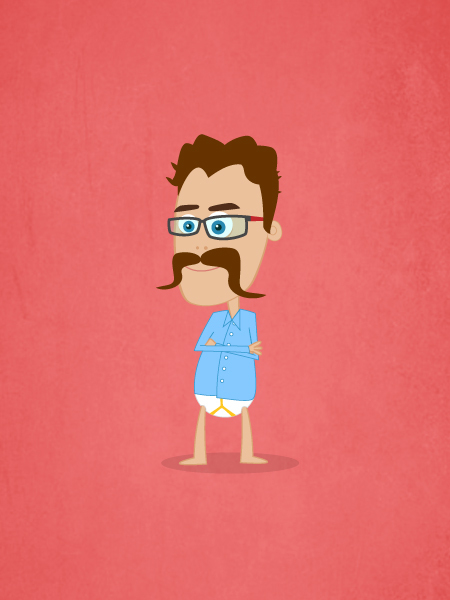 Between contracts and freelance projects I'm working on a personal animation project featuring yours truly. 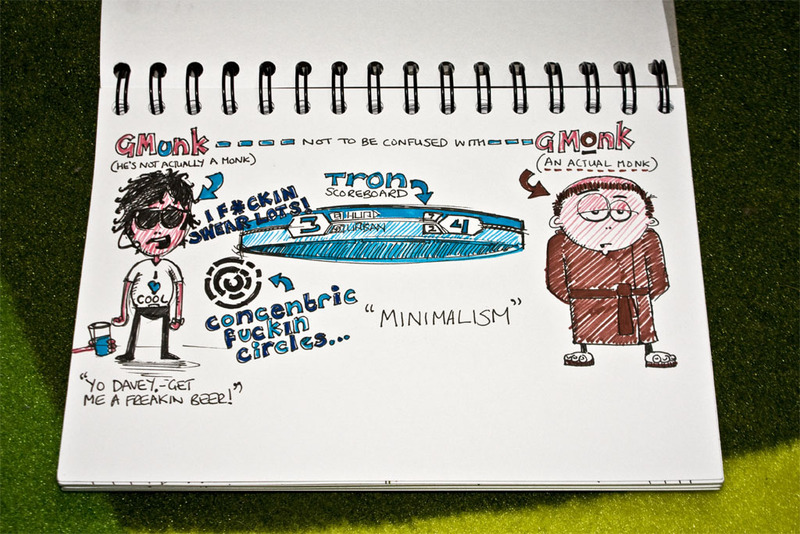 I hope to release it in early 2011 and a new portfolio website to accompany the animation. Big, big thanks to Paul Senior and the lovely people over at The Black Hole in Rodley - Leeds. The Black Hole are one of the most respected integrated response agencies outside of London and I was lucky enough to spend some time in October working on a small project designing multi-lingual interactive Flash content for one of their big external clients. I thoroughly enjoyed my time there and I'm looking forward to coming back sometime soon to help out again. 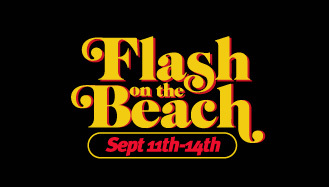 Flash On The Beach was an amazing event yet again this year. 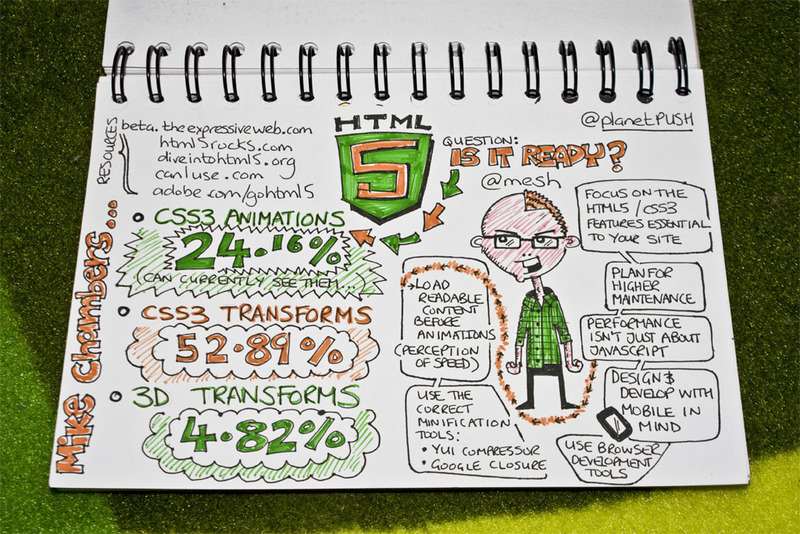 I came away with a head full of inspiration and the confidence to continue working with Flash despite the over exaggerated reports that Flash has no future now that HTML5 is coming along. I'm especially looking forward to Disturb Media releasing (on YouTube) their version of "I want it that way" by The Backstreet Boys. 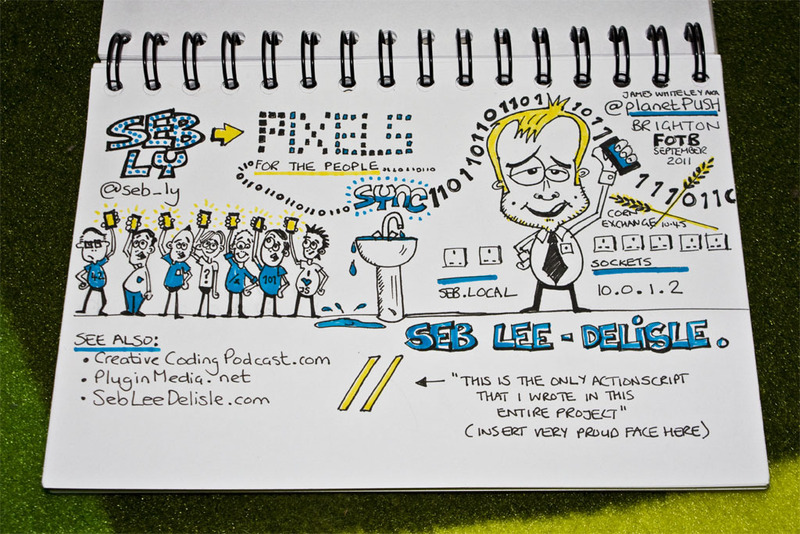 My personal highlights this year were Seb Lee-Delisle's Family Fortunes session, Nando Costa's opening titles, Rob Hodgin's work, Stefan Sagmeister's stuff and Iain Lobb's game session. I still haven't figured out why both Nando and Rob Hodgin have an obsession with magnets but I'm gonna do my best not to lose sleep thinking about this. 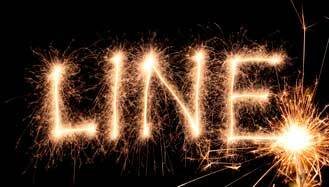 I'm spending a couple of months back at LINE in Sheffield so a big thank you to the guys at LINE for inviting me back. 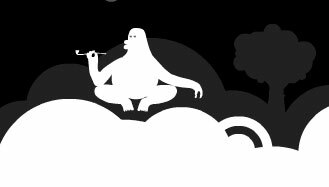 I'll be working in a development role this time rather than in the design team and I'm very much looking forward to coming back and eating copious amounts of cake. I just hope the lifts in St James House are finally fixed! 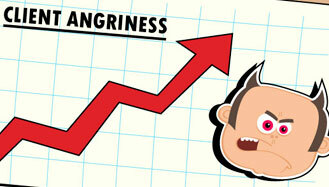 A 'viral web marketing campaign' can be a great way to drive business to your website. 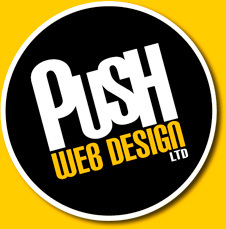 Just ask Mr Corned Beef and his lovely old backing singers who are kindly representing PUSH Web Design. These guys love corned beef so much that they want to tell you all about it with this song. It's actually Eric Pridz' song "Call On Me" but we think it sounds like "Corned Beef". See what you think. You can view the video at a small size opposite or on YouTube here. 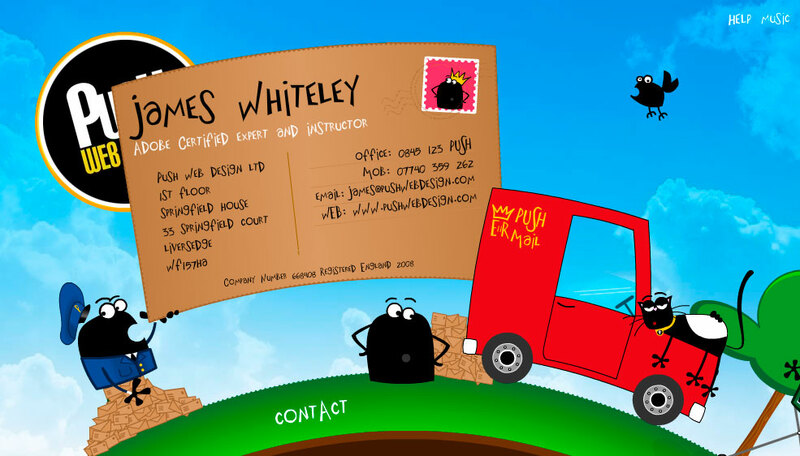 If you'd like something similar creating for your business or website then please just drop us an email and we'll see what we can do! 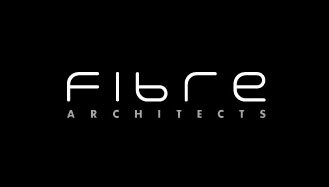 PUSH are proud to announce the launch of the new Fibre Architects web site. 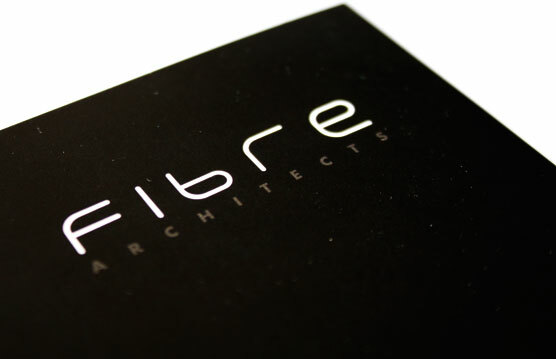 Fibre approached PUSH at the end of 2009 and we have been working together on the Fibre Architects brand. 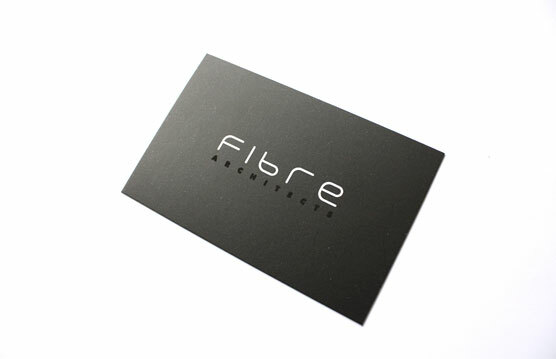 The project involved the creation of a logo, business card design, compliment slip, A4 letter heads, A5 advertising leaflet, Flash website and simple mobile version of the website. 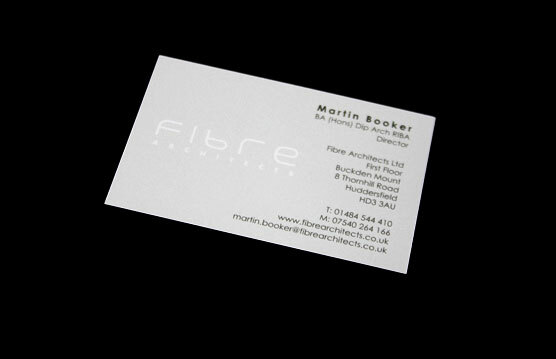 Screenshots of the branding materials can be viewed by clicking the image opposite. 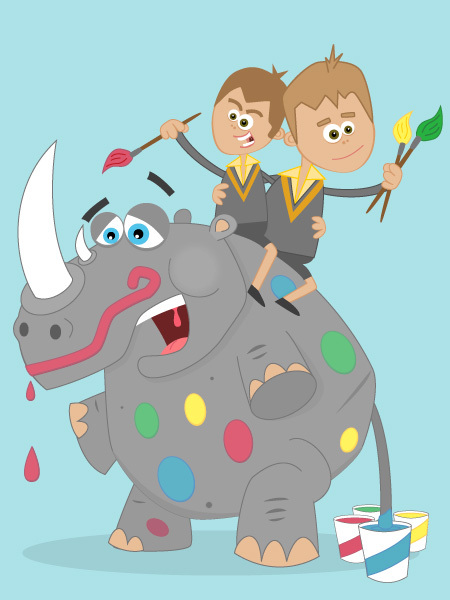 For those folk with a technical interest - the project involved the use of the Adobe suite of products including Flash, Photoshop, Illustrator and Dreamweaver. The website is written in AS3.0 and utilises SWFObject and SWFAddress so as to maximise the website's potential for performance in the search engines. The mobile version is a simple, 1 page, light-weight, text only version of the website for users that don't have Flash on their mobile device. "World Cup Wallchart" now LIVE on Microsoft MSN! But on a brighter note, those 5 months have been well worth the wait as the new World Cup Wallchart has now been launched on Microsoft's MSN website! The Wallchart will be live for the duration of the World Cup so check it out at http://football-matches.uk.msn.com while you can. 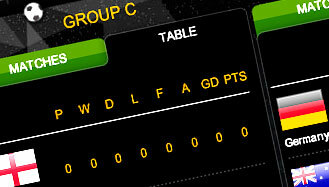 The World Cup Wallchart is an interactive live score and results flash web application featuring group tables and matches for the South Africa World Cup 2010. The first match is due to kick off on June 11th so if you find yourself stuck at a PC for whatever reason (rather than watching the game on the big screen) then what better place to keep track of the scores and your country's progress. There's an abundance of useful information already available on the site so why not check out the Venues Guide while you wait for the competition to kick off for real. PUSH to hit Brighton for "Flash On The Beach 2010"
PUSH will be hitting the streets of Brighton once more as the awesome conference known as "Flash On The Beach" comes back to The Dome in Brighton for the 5th year running. The conference boasts some of the best speakers in the world of design and development (not just Adobe Flash) and is a chance to rub shoulders with some inspirational characters and the best of the best. Whatever industry you're in, it's important to stay on top of new developments so that your business doesn't get left behind. The web world is continuously evolving (at a scary pace) so by attending this event we hope to learn a thing or two that we can apply in our own projects so that customers of PUSH Web Design can really benefit from enhancements in the industry. 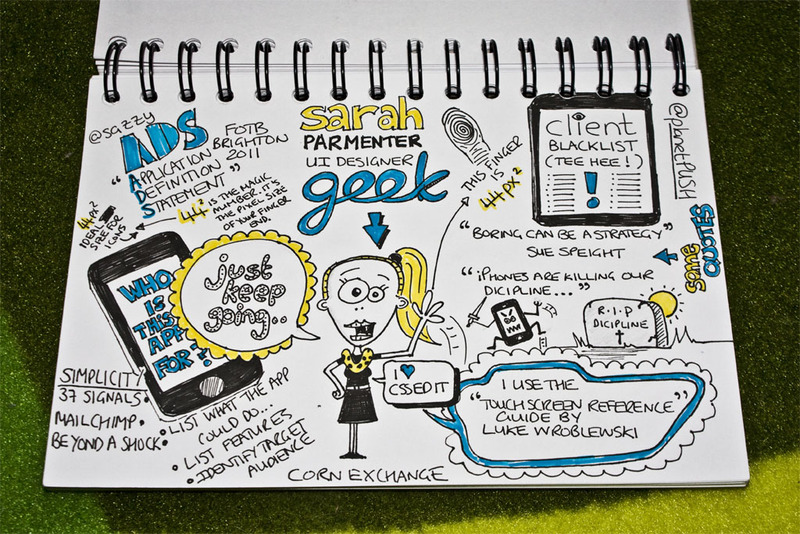 Get Savvy with PUSH Web Design! 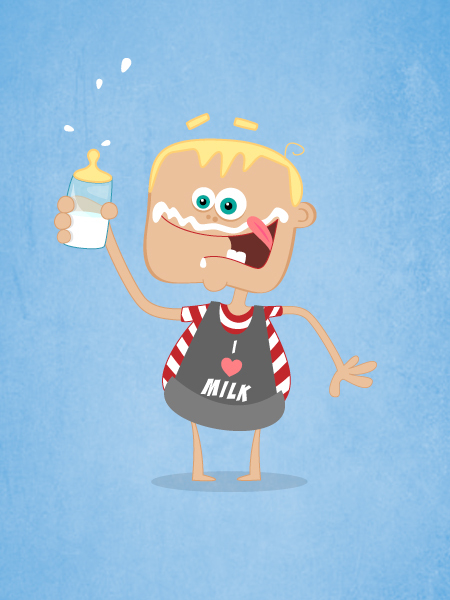 PUSH were lucky enough to spend a few days designing for Savvy Marketing in Leeds. The brief was to design several different concepts for a new stylish, interactive and beautiful website with a view to this being built in Flash. It's very early days yet but Savvy are looking at a major overhaul of their existing website with the new site being a representation of their design abilities and the creative people at Savvy - something that they'll be proud to show off. 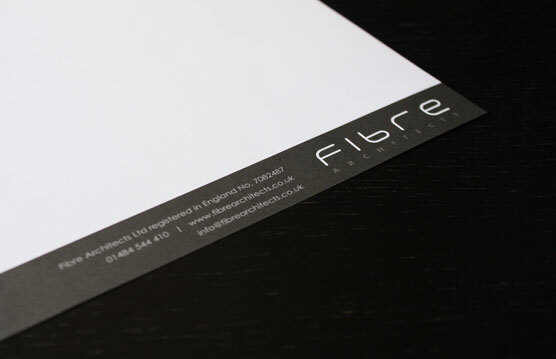 Savvy Marketing are a Leeds based full service agency delivering brand campaigns that make a commercial difference. 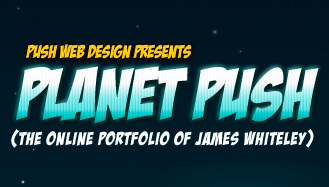 PUSH Web Design today launched "Planet PUSH" - the interactive portfolio of PUSH's very own Adobe Certified Expert James Whiteley. 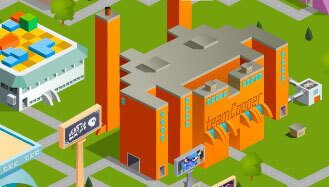 You can view the site at Planet PUSH and view some screenshots by clicking the image opposite. Please sign the guestbook (which you'll find down the black hole) and let us know your feedback. 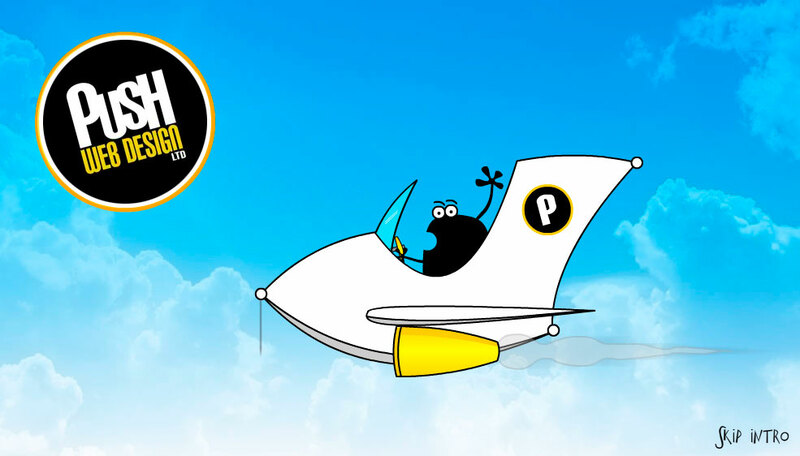 For those folk with a technical interest - the Planet PUSH website is designed with the Adobe CS3 suite of products using Flash, Photoshop and Illustrator for the graphics and animation. Sounds are cleaned up and edited in SoundBooth and behind the scenes it's coded in Actionscript 3.0 and driven by XML with a SQL Server database at the back-end. PUSH Web Design have announced the sponsorship of 2 open age football teams at Battyeford Sporting Club. The team have 2 sides in the Heavy Woollen Gate Sunday Alliance Football League (one in the Premier and one in Division 2). They also play in Brooke Butler Cup (Heavy Woollen District competition) and the West Riding County FA Sunday Cup/ Sunday Trophy. The PUSH logo has been customised for best appearance on the kit. The colours have been converted to a black and blue variation to tie in with the clubs colours and the team will wear the new kit for the first time on Sunday September 20th. Management team Nigel Saddington and Graham Pickford said "Many, many thanks to PUSH for the generous sponsorship of not one, but two open age teams. Here at Battyeford Sporting Club we have 24 boys and girls teams ranging in age group from under 7 to under 16 years and also three open age adult teams. Come down on matchdays Saturday or Sunday or to any midweek training evening and you will see its a hive of activity. We are run by volunteers and are self financing, so with the additional overhead of our own brand new clubhouse to run, sponsorship from local businesses such as "PUSH Web Design" is essential and very much appreciated." 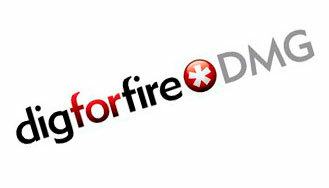 And another big "THANK YOU" to those nice folk at "Dig For Fire"
PUSH recently spent a couple of days over at "Dig For Fire" doing some Flash and Photoshop work for one of their clients. 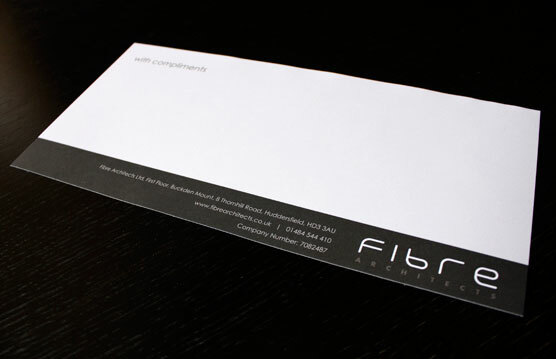 Dig are a digital agency based in Sheffield dealing in effective direct brand-response communications. This is just a little note to say "thanks" for looking after us while we came to visit. We're already looking forward to returning and helping out again soon. 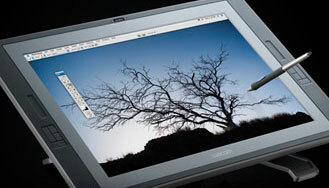 The Wacom Cintiq 21UX interactive pen display is a graphic tablet that allows you draw directly onto screen. It's got a big old screen (roughly 21 inches across the diagonal) and it's already speeding up the design process here at PUSH with its tilting, rotating screen. Rather than drawing on paper and scanning in multiple designs to trace and recreate, PUSH are now able to use the Cintiq to draw directly into our favourite programmes Flash, Photoshop and Illustrator. We managed to get hold of one of these bad boys recently from a kind chap on e-bay and there's no looking back now. Yeah it takes up most of the desk and yeah there's nowhere to put tea and a plate of biscuits any more but it's well worth it. The Telkom Charity Cup is a one-day football tournament for Premier Soccer League clubs in South Africa. Fans vote for their favourite team and the four clubs with the most votes qualify for the tournament. The aim of the tournament is to raise money for charity through the votes and gate fees. PUSH were recently contracted to design and develop a live news and scoreboard application for the competition and this is available to download today. For those folk with a technical interest, the application is an Adobe AIR application driven by live XML feeds from The Press Asscoiation and is avialable to download from www.charitycup.co.za. The application will be functional for one day only. It started as a 2 week contract which turned into 1 month and then 3 months. Eventually it ended up being 10 months and who knows where the time went. I can safely say that collectively, those folk at LINE Communications are by far the nicest bunch of people that I've had the pleasure of working with. I put it down to the regular birthday gatherings to eat vast quantities of birthday cake (and breakfast every Friday morning). The guys here work really hard and play really hard and are creating some fantastic e-learning projects making them a market leader in their sector. I'm really chuffed that I was able to help out for the past 10 months. Really looking forward to returning some day too.